Forget botox! 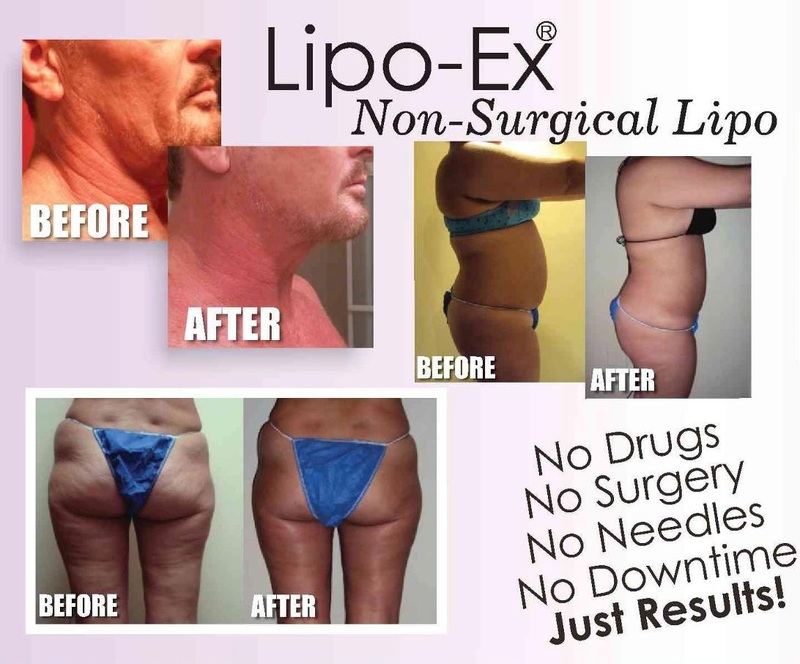 With Lipo-Ex non-surgical Facelifts there are no needles! You get a lasting effect with just a few treatments that will have you looking young again. Our non-invasive face lift is the healthy alternative with just plain better results than you would get from any surgery without the down time, without the pain, with out the drugs and best of all, without the needles! For more info about Non-botox face lifts goto our website at www.mybodycontour.biz and be amazed with results that will last a life time.